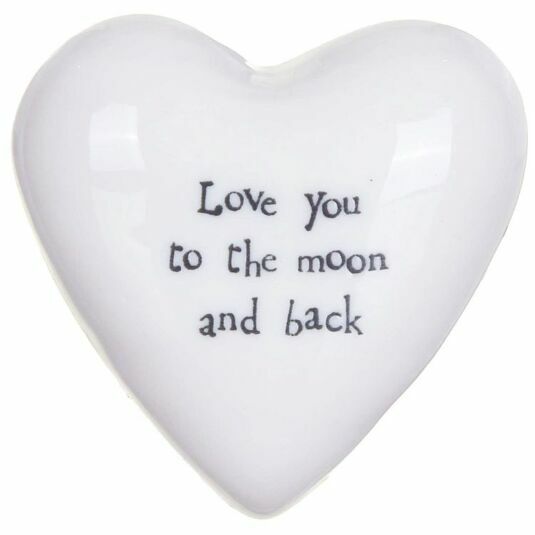 This beautiful boxed heart would make a welcome addition to any home. 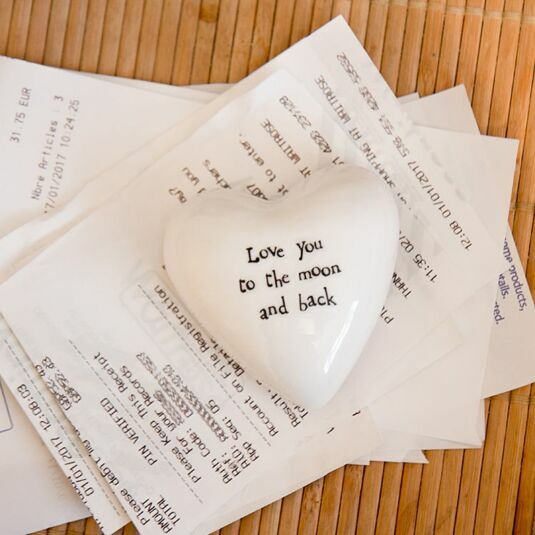 Whether as a gift for a loved one or just to bring a bit of a loving touch to your house, the ornament is full of understated elegance. There is a thick soft padding on the bottom to ensure no surfaces are scratched. 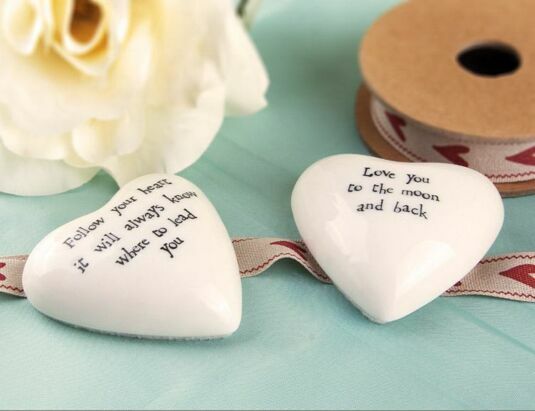 The porcelain heart reads: "Love you to the moon and back".